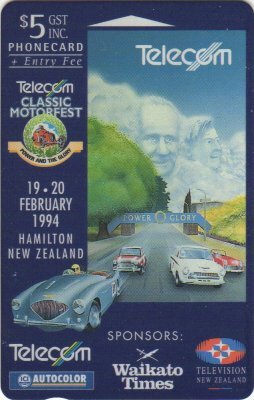 The Motorfest took place in Hamilton from the 19-20 February 1994. 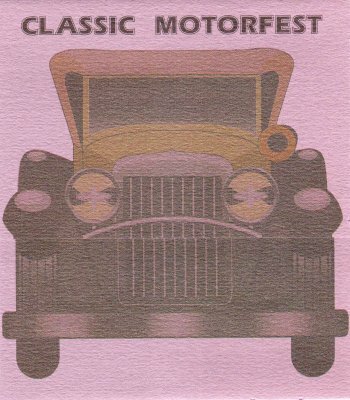 The card was included as part of the entry fee for the event and was issued in a Motorfest folder illustrated below. 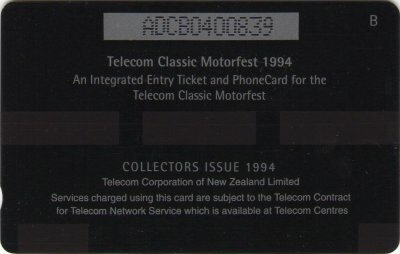 This card was also included in the Collector Pack AdCards Volume Five NZ-CP-25 and was overprinted on the reverse with Collectors Issue 1994, and had the same overprint for the card in the International Pack. 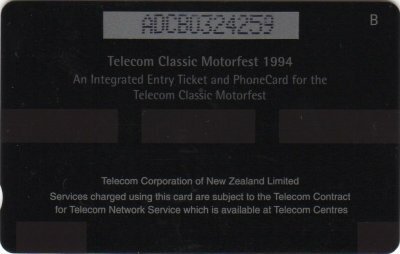 This card was also included in the Introductory Collector Pack NZ-CP-25x.